Rockpooling in Devon is an activity that can be enjoyed all year round, although there are certain times of year that can be more fruitful than others. Late spring to early autumn is a good time of year as (hopefully) you won’t be standing around with your teeth chattering. Marine researchers tend to go on field trips during the equinox, or when there’s a full moon (as this is when the tides are at their lowest). However, for most of us, heading on a rockpooling excursion at low tide will do nicely. Rockpooling is serious business – so it’s best to be prepared! Ditch the flip flops and slip your feet into some trainers or walking sandals. Wet rocks can be sharp and slippy so you’ll need some shoes with a thick sole and grip. If you want to easily identify your marine marvels, bring a pocket-sized identification guide. Depending on the weather it’s also good to have suncream, a hat, a warm jumper or a waterproof to hand. Choose a clear bucket and you’ll be able to observe any creatures you find. Be considerate of the marine life that is living in the rockpools. Don’t use a net as sea creatures can get easily tangled in it and it can end up causing them harm. Instead, place your bucket into the pool and see what swims in, or use it to gently scoop up any interesting finds. Make sure that you carefully return any sea critters to where you found them. We would recommend packing a small first aid kit for any tumbles that might occur. Finally, pack some snacks or a picnic – rockpooling can be hungry work! If you are staying in Salcombe, North Sands is a great option with plenty of rockpooling and beach combing opportunities. It’s an easy 15-minute walk from the centre and is popular with locals and holidaymakers. There’s even an alfresco dining opportunity nearby for when you’ve had your fill of rockpooling – The Winking Prawn is famous for its buckets of prawns and summer evening BBQ menu. Jump on the East Portlemouth Ferry from Salcombe and when you reach the other side, walk along the foreshore for about half a mile keeping the sea to your right. First, you’ll pass Smalls (another good rock pooling beach! ), but keep going for and you’ll reach Mill Bay. At low tide the beach is sandy with plenty of rockpools to explore. Just a short journey from Salcombe you’ll find Soar Mill Cove, a hidden beach that is only accessible by foot. There are no facilities and no lifeguards, but if you’re looking for an unspoilt spot with plenty of natural treasure to be found, Soar Mill Cove is a great option. Just make sure you remember your picnic – you won’t want to have to walk back up the hill to the car to get it! 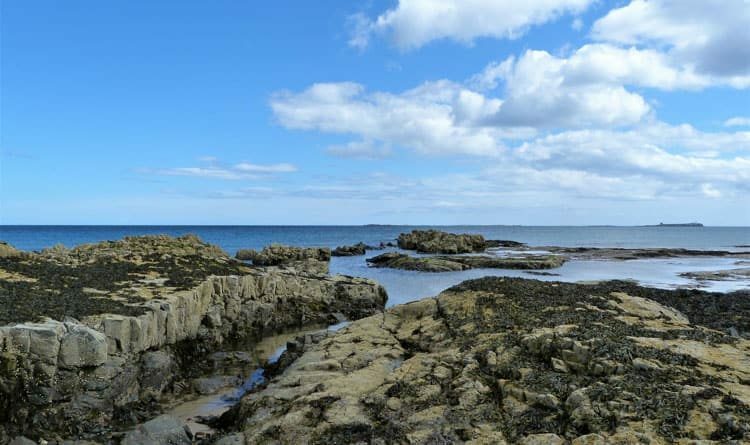 Rockpooling is a fascinating and free activity that can be done all year round. 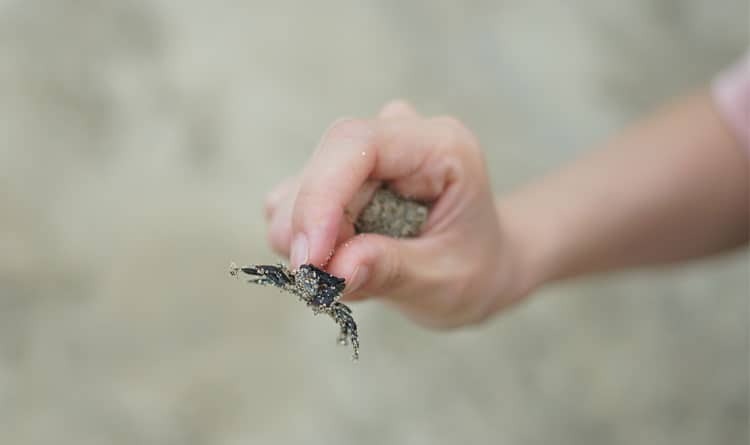 Uncovering and identifying marine species will get inquisitive young minds whirring – and Salcombe, with its family-friendly beaches, is the perfect backdrop. Happy rockpooling!